Passion for music never wanes. That’s why after more than 20 years behind the decks, Kazell is still spinning—and is ready for more. “I took a break from DJing to make software, but my passion for music hasn’t been diluted at all,” he says. “In fact, it’s only grown”. Now I can put together tracks in ways that I was never able to do in the past. I have more technological and musical knowledge now and it’s opened up a whole new universe of music for me.” Kazell has toured the world, opening for legends like Sasha, John Digweed, Deep Dish and Sander Kleinenberg. 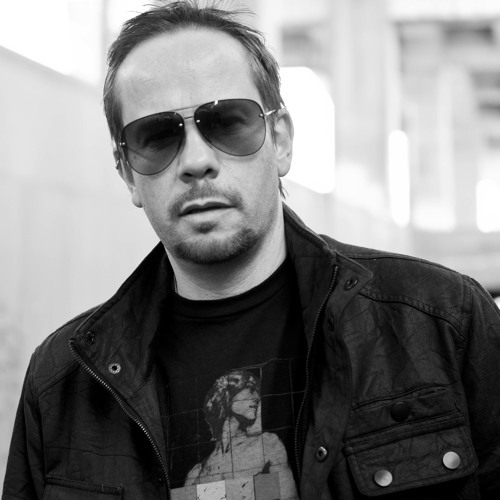 He toured with Sasha and Digweed on the groundbreaking Northern Exposure tour. He’s produced dozens of tracks that have been featured on labels like Global Underground and Lost Language and his 2003 debut album, Driven, was voted “Best Compilation of the Year” by Jive Magazine. He’s a resident DJ at LA’s premier electronic venue, Avalon Hollywood, and spins every year with John Digweed at Liqufied’s Mayan Theater event in Los Angeles. His sets fuse tech, tribal and progressive house into flowing grooves that prime the crowd for all- night epics and have earned him the title of “hottest DJ in warm-up” by the LA Times. He was also recently ranked number six in LA Weekly’s “20 Greatest EDM DJs of All Time.” ￼ BIO But Kazell didn’t start with the legends. In fact, his first gig was spinning indie, rock and hip hop at a community center outside Manchester. “I used to help set up the sound gear and organize these events to raise money for the community center,” he said. “One day the DJ didn’t show and the organizers asked me step in. They knew I had an extensive record collection and that I loved music. From then on I was hooked. I love the idea of being able to mix my favorite music together in new ways to connect with the crowd. It’s a fantastic feeling.” In 2011 Kazell founded Audio Raiders and created a set of audio plugins with legend Sasha. Sasha Soundlab gives DJs and producers access to a vast library of samples, sounds and effects used by the famous producer. It took Kazell nearly three years to launch Audio Raiders. “It was a real labor of love,” he says. “We worked tirelessly to launch the company and build the sound libraries and plugins. Unfortunately, I wasn’t able to put as much time into DJing as I would have liked. But now that the company is off the ground, I want to get back to it.” Armed with new tools and talents, Kazell is ready to hit the clubs again. “DJing today is better than it ever has been,” he says. “I can’t wait to get out there and explore the new directions I can take the music"